In addition to apologizing to all the passengers affected, Delta Air Lines has now banned the rude passenger for life. The passenger, who has not been identified, was standing in the aisle last Tuesday carrying on, and rudely professing his support for President-Elect Donald Trump. A video was taken and posted to Facebook of the man causing the disturbance and heckling Clinton supporters on the plane. Delta Air Lines had apologized on Sunday for the man's outburst and for not kicking him off the plane. Officials say that the crew members questioned the man, and made the best decision they could. Delta Air Lines is also refunding the cost of tickets for the other passengers. Delaware Police are now searching for a suspect who shot a student while he was on his way to school Monday morning in Wilmington. The incident happened at around 6:45 am near West 27th and Van Buren Streets, when the 15-year-old boy was shot. After being wounded the boy was able to flag down a passing school bus to get help. The boy was later treated by responding paramedics and then transported to Alfred I. DuPont Children's Hospital where he is currently listed in stable condition. Police are still on the hunt for the suspect, and ask the public for help if anyone has any information. 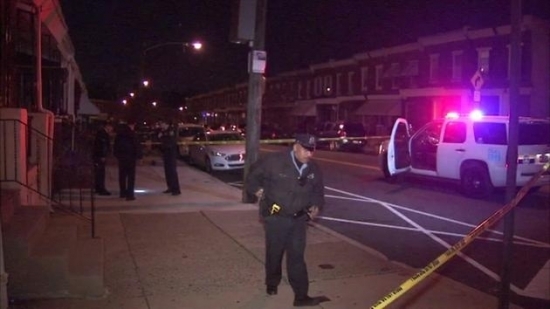 Philadelphia Police are now investigating a shooting that took place in Overbrook Sunday night that left one victim hospitalized. The shooting took place on the 6600 block of Malvern Avenue, and the victim was a 21-year-old who was returning from a bar on 66th Street and Lansdowne Avenue. The victim was near the bus stop when the suspect approached him with a gun and shot at him five times. The victim was only hit by one of the gunshots and is currently in stable condition from his wounds. Police are reviewing surveillance footage to help identify the suspect, and are trying to determine what led to the shooting. The Eagles play at home tonight against the Packers. Sixers are in Toronto taking on the Raptors. Tonight, Cloudy with some rain possible, and a low of 41 degrees in Center City.